This year, ACI welcomed New Mexico legislators and business leaders at our 30th annual Business Day at the historic La Fonda on the Plaza in Santa Fe. As in previous years, our annual event provided an excellent opportunity for New Mexico's business leaders and legislators from across the state to network, exchange ideas, and learn about our ongoing initiative to cultivate and sustain a healthy pro-business environment in the state of New Mexico. Following Rep. Dow, Rep. Sharon Clahchischilliage (R) noted the unique challenges that individual counties and communities are faced with across the state, pointing to examples from her own district in the NW region of New Mexico. Rep. Clahchischilliage noted that addressing utility infrastructure is her priority, citing the issue as a foundation of commerce and industry in the state. "There must be a focus on how to serve all of New Mexico and, not only does addressing infrastructure in New Mexico bring opportunity to our families and communities," Rep. Clahchischilliage said, "with the right infrastructure, better communities are possible. Perhaps by working together, we can realize a brighter future." Lt. Governor John Sanchez, following Rep. Clahchischilliage, took the opportunity to extol the virtues and beauty of New Mexico. "New Mexico is a state blessed with natural resources, amazing weather, tradition, culture, and rich in history," Sanchez said. "So what," he asked, "is keeping our state from flourishing?" Sanchez largely focused his discussion on the need to focus concentration on cultivating wealth in New Mexico and expressed the necessity for "both sides of the aisle" to work together to reach our collective vision for driving a healthy economy in the state. Sanchez closed his remarks by suggesting that "what we need isn't just a mind shift, it's a cultural shift. It's a shift in how we draft and propose legislation. We need true education reform, and policies that allow for a robust private sector that both creates and builds wealth for New Mexico in the long-term. This requires both the political courage and foresight to move forward." 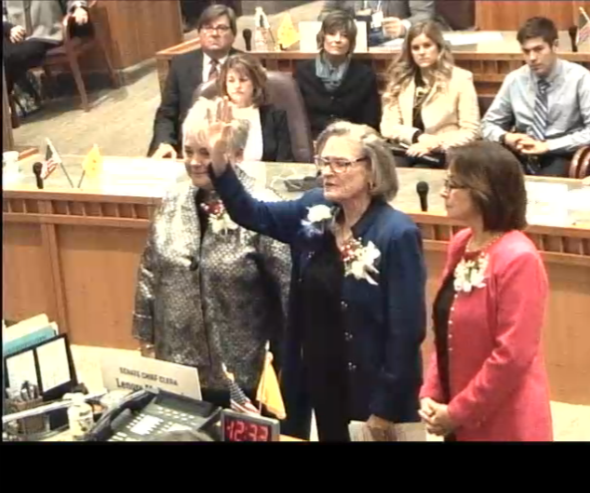 Senate President Pro-Tempore Mary Kay Papen took the stage, following Sanchez, and Papen took the opportunity to honor women in the legislature and pointed to the fact that there are currently only seven women in the New Mexico State Senate, a number she'd like to see increase. Papen then quickly moved to discuss legislative efforts to balance the $6.3b budget with the hope that 10% would be allocated for reserves but, noting the volatility of oil and gas prices in the state, with the realization that any reserves could likely be lower than 10%. In addition to discussing the need to provide mental health care for incarcerated populations and the related priority to require and ensure due process specifically in the areas of defining credible allegations of fraud, Papen reiterated the importance of focusing on cultivating an economic resurgence in the state and pointed to the "economic boom" in Santa Teresa as an example of industrial gain that all of New Mexico could model. In closing, Papen graciously expressed her support for ACI and the work the organization has done to bridge the gap between industry and the Capitol. Similarly, Sen. Stuart Ingle (R) stated the importance of ensuring that state government focus on all areas of New Mexico, encouraging development in all industries, and ensuring that the state regulatory environment incentivizes business grow and flourish. “We need to take a serious look at liability laws in our state and making changes in our current systems if we hope to see the continued growth we’re all talking about here today,” Ingle stated. Speaker of the House, Brian Egolf provided a thorough review of his Jobs Tour initiative that helped to solidify efforts to work with business leaders and communities across the state to “make it easier for business to thrive and our economy to grow and prosper.” Egolf also pointed to contributing factors to economic growth in New Mexico, such as the need for access to broadband across the state, keeping firearms out of convicted felons, reimagining our approach to crime prevention and recidivism, and a focus on hiring and training police officers across the state. In keeping with our focus on improving the general environment for commerce and industry, Egolf stressed a focus on taking a multi-phased approach to cultivating a diversified economy. As in previous years, ACI’s Annual Business Day highlighted a consensus among members and general attendees alike that the participation of active and engaged legislators and business leaders is New Mexico’s best strategy for cultivating and realizing a healthy and sustainable economy for all of New Mexico. 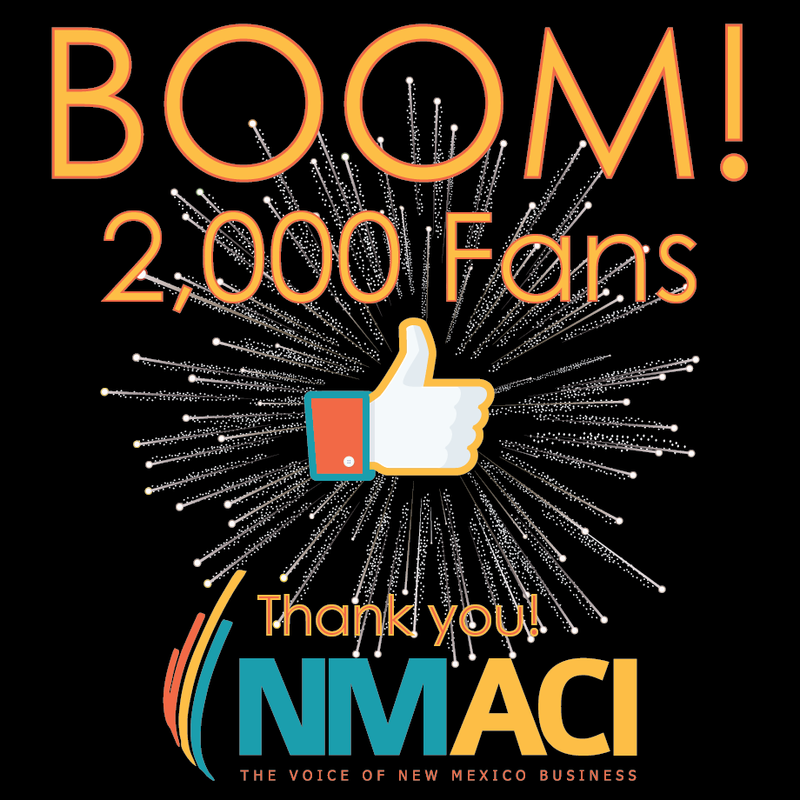 At ACI, we are committed to working with leaders and communities across the state to help New Mexico grow, prosper, and secure an ever brighter future. From all of us at ACI, we thank you for your continued support and commitment to making this a reality. Senate Bill 155 (Workers' Comp Benefit Clarification). For more details on these bills and the status of each of ACI's FOCUS bills, see the table below. Prior to the end of the session, House Bill 60 (Broadband Infrastructure Development) was passed and signed. Senate Bill 134 (Computer Science for School Graduation), which ACI helped draft prior to the session with the state Public Education Department and the New Mexico chapter of the Computer Science Teachers Association, also passed the Legislature, but Gov. Martinez vetoed the bill. The Senate's majority leadership challenged the validity of the veto, calling the bill "law without signature." Whether SB 134 is indeed law may be decided by the state's judiciary. Read more here. ACI ended the session with 23 high-priority FOCUS bills. Of the 23, 18 had ACI's desired pass-fail outcomes. There were 10 bills that drew ACI's focused opposition, and all 10 of the bills did not even reach the governor's desk. Provides the Public Regulation Commission (PRC) jurisdiction over incumbent local exchange carriers and their investment in telecommunications and broadband infrastructure. Creates requirements for proposing, adopting, amending, and repealing rules under the State Rules Act. Relates to local economic development and broadband telecommunications. Amends a section of the Local Economic Development Act to provide for broadband infrastructure development. HB 147 WORKFORCE TRAINING RESIDENCY REQUIREMENT Rep. George Dodge, Jr.
Reduces the residency requirement for trainees in the Workforce Development Training Program, so long as high-wage jobs are guaranteed after the training ends. Provides minimum disclosures for the lease or sale of a distributed energy generation system and for regulations, form disclosure statements and an exception. Provides for penalties and remedies for violations. Relates to public projects, the public sector, and the General Services Department. Enacts the Public-Private Partnerships Act. Allows state and local governments to enter into long-term partnerships with private sector partners to facilitate public projects. Relates to nurse staffing units and health care. Requires a hospital to establish staffing levels for hospital nursing units. Gives a nurse the right to refuse an assignment under certain circumstances. Requires hospitals to post and report their daily hospital nursing unit patient census and staffing levels. Makes the Department of Health responsible for posting hospital reports on the Department of Health's website for consumers. Authorizes the Department of Health to enforce compliance with this act through penalties and corrective action. Authorizes the Department of Health to promulgate rules to implement this act. Provides whistleblower protection to employees who file a grievance or complaint under this act. Requires prompt resolution of prevailing wage complaints, increases penalties and provides a private right of action. Changes provisions of the Workers' Compensation Act relating to the award of points for partial disability education and physical capacity modifications, independent medical examinations, unsanitary or injurious practices, and attorney fees and costs associated with claims. Allows private rights of action for bad faith and unfair claims processing and increases penalties. Amends Article 20, Section 7 of the Constitution of New Mexico to provide an additional annual distribution in Fiscal Years 2020 and 2021 from the Permanent School Funds for educational services and early childhood education services in subsequent years. Requires combined reporting for a unitary group and amends definitions and repeals section 7-2A-8.4 NMSA 1978 in the Corporate Income and Franchise Tax Act. Enacts the Uniform Environmental Covenants Act that provides for covenants restricting use of real property subject to environmental remediation. Relates to Public Schools, providing that a unit of Computer Science credit qualifies for the mathematics or science units requirements required for high school graduations. Amends sections of the Workers' Compensation Act to clarify when a worker is entitled to certain benefits. Enacts the Health Security Act to provide for comprehensive statewide health care. Provides for health care planning and establishes procedures to contain health care costs. Creates a commission and provides for its powers and duties. Provides for health care delivery regions and regional councils and directs and authorizes the development of a health security plan. Provides for transfer of health insurance exchange personal property to the commission and establishes penalties. Amends a section of the Tort Claims Act and provides for delayed repeal. It makes an appropriation. Limits the frequency in rate changes and rate-change requests of certain electric utilities. Requires hospitals to establish staffing levels for hospital nursing units; and allows a nurse the right to refuse an assignment under certain circumstances. Requires hospitals post and report their daily hospital nursing unit patient census and staffing levels. Makes the Department of Health responsible for posting hospital reports on their department’s website for consumers. Authorizes the Department of Health to enforce compliance through penalties and corrective action; and authorizes the department to promulgate rules. Provides whistleblower protection to employees who file a grievance or complaint. Permanently sets the top rate of the Corporate Income and Franchise Tax Act at 6.2%. Relates to employment policies and benefits; work hours; paid and unpaid leave; and fringe benefits. Makes certain terms of for-profit and not-for-profit private-sector employment law uniform throughout the state. Prohibits a political subdivision of the state, including a home rule municipality, or an institution of the state from adopting a law, policy or resolution from regulating certain employment policies and benefits. Amends Article 20, Section 7 of the Constitution of New Mexico to provide an additional annual distribution of 1.5% of the Permanent School Funds for early childhood education services. At noon Saturday, both chambers of the Legislature adjourned "sine die," following a 60-day session that left much undecided. Gov. Susana Martinez said Saturday a special session is imminent, since the executive and legislative branches could not agree on the way forward on taxation and spending. Many Roundhouse denizens speculated through the week as to when the special session would begin, but there has been no announcement as yet. Gov. Martinez also said Saturday that she will not sign the two bills that would increase the state's minimum wage. The House and Senate each forwarded one proposal to the Fourth Floor. House Bill 442, sponsored by Rep. Debbie Rodella, would have increased the minimum wage to $9.25 statewide, and the bill included a state-preemption provision on local scheduling ordinances. Senate Bill 386, sponsored by Sen. Clemente Sanchez, would have raised the current minimum wage of $7.50 by 75 cents during 2017, then the bill's desired $9 minimum wage would begin in April 2018. Sanchez's bill allowed employers to pay a lower training wage during an employee's first 60 days of employment. Read more here. While 'sine die' marks the end of the Legislature's work, many of ACI's FOCUS bills that passed still have the finish line ahead of them. Of the 13 bills ACI supported, eight passed were passed by the Legislature, and out of the eight passed bills, six await Gov. Martinez's final decision as to whether they are implemented. Prior to the end of the session, House Bill 60 (Broadband Infrastructure Development) was passed and signed. Senate Bill 134 (Computer Science for School Graduation), which ACI helped draft prior to the session with the state Public Education Department, the New Mexico Technology Council and the New Mexico chapter of the Computer Science Teachers Association, also passed the Legislature, but on Wednesday, Gov. Martinez vetoed the bill. By Thursday, majority leadership of the Senate challenged the validity of the veto, calling the bill "law without signature." Whether SB 134 is indeed law may be decided by the state's judiciary. Read more here. ACI ended the session with 23 high-priority FOCUS bills. Of the 23, 18 had the pass-fail outcomes for which ACI worked so hard. There were 10 bills that drew ACI's focused opposition, and all 10 of the bills will not reach the governor's desk. For more on the status of each of ACI's FOCUS bills, see the table below. Changes provisions of the Workers' Compensation Act relating to the award of points for partial disability education and physical capacity modifications, independent medical examinations, unsanitary or injurious practices, and attorney fees and costs associated with claims. It allows private rights of action for bad faith and unfair claims processing and increases penalties. Versions of the column also ran in the Hobbs News-Sun, NMPolitics.net, the Grant County Beat and the Las Cruces Sun-News. SB 53 received a unanimous “do pass" in House Business and Industry and goes on to the House floor for debate. SB 53, sponsored by Sen. Michael Padilla, which is entitled "PRC Jurisdiction over Local Exchanges," modernizes the regulatory environment and allows companies to direct investments toward new technologies and services, such as broadband. The bill, which is an ACI FOCUS bill, has become referred to as the "Telecom Modernization" bill. We look forward to delivering news to those attending the Friday phone call about one of ACI's central FOCUS bills, Senate Bill 155, whose fate is in the hands of a conference committee of House members and Senate members to resolve their disagreements concerning House amendments. On Friday, House and Senate members designated by their respective chambers will meet to hash out what will be the end product of SB 155 (Workers' Comp Benefit Clarification). During the bill's hearing in House Judiciary on Wednesday, Rep. Daymon Ely proposed an amendment that passed with the bill from the committee. In short order, the bill passed the full House on Thursday, but the Senate refused to concur with the changes to the bill. Likewise, the House refused to recede to the Senate's non-concurrence, compelling the chambers to meet in conference committee to resolve the disagreement. In House Judiciary, bill sponsor Sen. Jacob Candelaria said SB 155 is not only the result of more than "a year-and-a-half-long’s negotiation process," but the bill got its start two years ago in 2015. Candelaria said that SB 155 "is a mirror of House Bill 250, which passed out of the House two years ago unanimously." 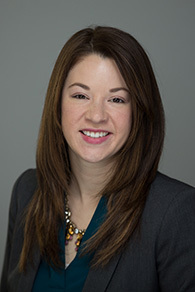 The bill's expert witness, Rachel Bayless, General Counsel of the New Mexico Workers’ Compensation Administration, confirmed that the version that unanimously passed the House was crafted through negotiations by then-Minority Leader, now-Speaker Brian Egolf and sponsor Rep. Randal Crowder. That compromise got a unanimous "do pass" by House Judiciary in 2015. "I want to thank the New Mexico Trial Lawyers, and I want to thank the public-sector and private-sector unions who have sat down in good faith to continue working on a lot of these issues since then," Sen. Candelaria said. Sen. Candelaria summarized in his presentation that recent court decisions have created the problem SB 155 seeks to resolve: "All that matters is the workers perspective, that the worker reasonably and objectively thought it was unreasonable for them to return to work." SB 155 "will bring us back in line to what the law was prior to Hawkins and Cordova and to really bring New Mexico back in line with where the rest of the country is," Sen. Candelaria said. Watch the hearing at 4:43 p.m. Tune in to Friday afternoon's phone call for the latest development on SB 155. With the committee losing its quorum, Senate Rules could not vote on House Resolution 1, which would have taken a proposed constitutional amendment to the voters regarding new distributions from the land grant permanent fund for educational and early childhood educational services starting in fiscal year 2020. HJR 1 is a FOCUS bill that ACI opposes. Senate Finance Committee Chairman Sen. John Arthur Smith has also been a longtime opponent. Read more about HJR 1's flatline here. An education bill championed by New Mexico’s leading business advocacy group and passed by the Legislature met a “disappointing” fate Tuesday, with the governor rejecting a proposal to encourage students to take a computer science course before graduation. Entitled “Computer Science for School Graduation,” Senate Bill 134 would have upgraded high school computer science from an elective to being eligible to count as a math credit or a science credit once a student has completed math- and science-proficiency requirements prescribed by the state Public Education Department. The bill, sponsored by Sen. Jacob Candelaria (D-Bernalillo), Rep. Debra Sariñana (D-Bernalillo) and Rep. Bill McCamley (D-Doña Ana), was overwhelmingly approved by both chambers before going to Gov. Susana Martinez. SB 134 passed the House with a unanimous 67-0 vote and a 33-4 vote in the Senate. The legislation would have brought New Mexico in line with 32 other states, as well as Washington, D.C., where computer science can count towards math or science credits, whereas computer science currently only counts as an elective. After being postponed over several days, the employment-law uniformity bill that has been a high priority of ACI finally got its hearing in Senate Judiciary on Monday, only to be the bill's last. In a brief hearing that began after 10:30 p.m., bill sponsor Sen. George Munoz presented Senate Bill 415 as a means to create a "level playing field" for businesses and to create "continuity" when doing business across the state. ACI President and CEO Jason Espinoza provided expert testimony for the bill, emphasizing the state's "regulatory patchwork" that will only worsen without passage of the bill. Many business groups testified in support of the bill, but their advocacy was not enough to sway the Senate panel. A "do pass" motion failed on a party-line 4-5 vote. During the hearing, Sen. Jacob Candelaria asked Sen. Munoz and Jason about the potential of right-to-work laws similarly being passed in communities around the state. "My understanding is that local right-to-work could be enacted," Sen. Candelaria said. "Are there any plans to move in that direction?" Based on a decision out of the Sixth Circuit Court of Appeals in Kentucky, Espinoza said, New Mexico's laws allow home-rule municipalities to enact local right-to-work ordinances. Sen. Candelaria suggested that Albuquerque's paid-sick-leave ballot initiative is just the start of local employment initiatives, and their proliferation will eventually compel the Legislature's intervention. "If this sort of battle erupts at the local level, we're going to need to step in at some point," Sen. Candelaria said. Read the Albuquerque Journal's coverage of SB 415's hearing. Watch the hearing, starting at 10:39 p.m.
Wednesday, Gov. Susana Martinez signed House Bill 60 (Broadband Infrastructure Development), sponsored by Rep. Carl Trujillo and Sen. Jacob Candelaria. The bill unanimously passed both chambers before reaching the governor's desk -- the House, 66-0, and the Senate, 41-0. HB 60 was a high-priority FOCUS bill of ACI. Learn more about the bill here. HB 60 inserts the term "broadband telecommunications network facilities" into the Local Economic Development Act, clarifying and allowing for certain public-private partnerships in broadband development without violating the anti-donation clause of the state constitution. ACI believes this update to LEDA will allow governments to create synergy with private-sector broadband providers in more rapidly expanding broadband networks across the state, which will benefit businesses of every industry, including healthcare, high tech, hospitality and education. The Senate Public Affairs Committee today gave a “do pass” to a bill proposing to reduce the minimum residency requirement from one year to one day for employees whose training is eligible for Job Training Incentive Program (JTIP) reimbursement, so long as certain criteria are met. House Bill 147 got its first Senate committee hearing and is able to continue on to Senate Corporations and Transportation with SPAC’s endorsement. The bill modifies JTIP to include employees with New Mexico residency of one day for jobs that either: 1) offer a salary of at least $60,000 in a class H county or within 10 miles of the boundaries of a municipality with a federal census population of at least 60,000; or 2) offer a salary of at least $40,000 in a municipality with a federal census population of less than 60,000 or in an unincorporated area of a county. During his presentation of the bill, sponsor Rep. Bill McCamley said that, currently, “Almost all of the money for JTIP … goes to lower-wage jobs. In fact, only 4 percent of the training that goes through JTIP goes to higher-wage jobs.” McCamley said that his bill allows “a little more flexibility for professional economic developers” to recruit businesses that pay higher wages to New Mexico. The change to JTIP's residency requirement is Lopez’s brainchild. Lopez also noted a recent Albuquerque Journal article that reported New Mexico’s flat population growth in the last few years due to an “exodus,” and among those leaving are universities' "best and brightest" graduates. Also providing expert-witness testimony was ACI President and CEO Jason Espinoza. ACI helped in drafting the legislation. SPAC voted 5-1 for HB 147’s “do pass." Rep. George Dodge is a co-sponsor of the bill. 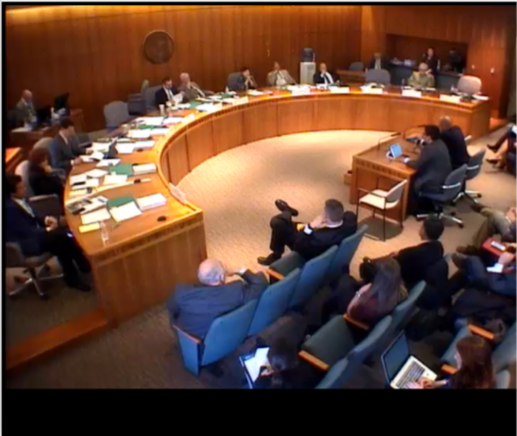 Watch video of HB 147's hearing in SPAC at about 5:05:30 p.m.
Senate Bill 415 (Uniformity of Employment Law Terms), sponsored by Sen. George Munoz, is a high-priority FOCUS bill of ACI. The bill got its first hearing on Friday, and the Senate Corporations and Transportation Committee gave the bill a bipartisan "do pass." WE NEED YOUR HELP! ACI expects SB 415's next hearing to be on Saturday in Senate Judiciary. The start time of the meeting is likely to be 30 minutes after the Senate's day floor session. ACI invites all members and partners to attend the committee meeting. In the meantime, please contact your legislators and urge them to support standardizing employment laws across the state. Use this one-pager on uniformity to help with your conversations. According to the bill's fiscal impact report, SB 415 prohibits New Mexico cities, local governments and state institutions from enacting laws to regulate the leave that private-sector employers must provide their employees and from requiring private-sector employers to provide workers with paid or unpaid leave. The legislation does not prohibit municipalities from adopting minimum-wage rates that are higher than the statewide minimum-wage rate. Another term for such a policy is “state preemption." Our members have said the uniformity provision is imperative to creating certainty for business recruitment and to enable business expansion into new markets in the state. The Albuquerque Journal reported on SB 415 today. Read the article. A bill that will allow computer science to count as either a math or science credit for high school students garnered all its needed legislative approvals to head to Gov. Susana Martinez for her signature. 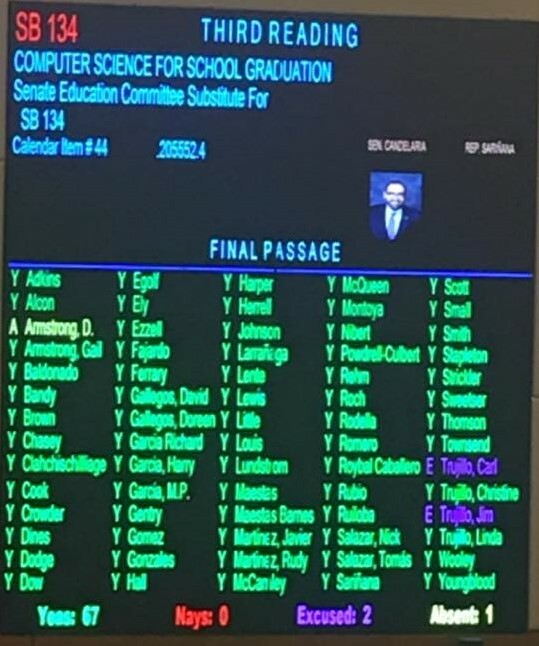 Sponsored by Sen. Jacob Candelaria, Rep. Debra Sariñana and Rep. Bill McCamley, Senate Bill 134 (Computer Science for School Graduation) passed the House with a unanimous 67-0 vote on Tuesday. Before getting a vetting on the House side, the bill cleared the Senate with a 33-4 vote. ACI President and CEO Jason Espinoza served as an expert witness for the bill as it was debated on the House floor. ACI helped draft the legislation, which was supported by both teachers unions and business groups. The topic became a priority of ACI's member entrepreneurs, particularly in the high-tech industry, which said greater emphasis on developing that specific talent pipeline is needed to bring more jobs to the state. Watch video of House floor debate and passage SB 134 at about 6:45 p.m.
On Friday, another FOCUS bill, House Bill 60 (Broadband Infrastructure Development), cleared the Senate with a unanimous 41-0 vote. Co-sponsored by Rep. Carl Trujillo and Sen. Jacob Candelaria, the bill previously passed the House unanimously on a 66-0 vote. By inserting the term "broadband telecommunications network facilities" into the Local Economic Development Act, HB 60 clarifies and allows for certain public-private partnerships in broadband development without violating the anti-donation clause of the state constitution. ACI believes this update to the Local Economic Development Act will allow governments to create synergy with private-sector broadband providers in more rapidly expanding broadband networks across the state, which will benefit businesses of every industry, including healthcare, high tech, hospitality and education. 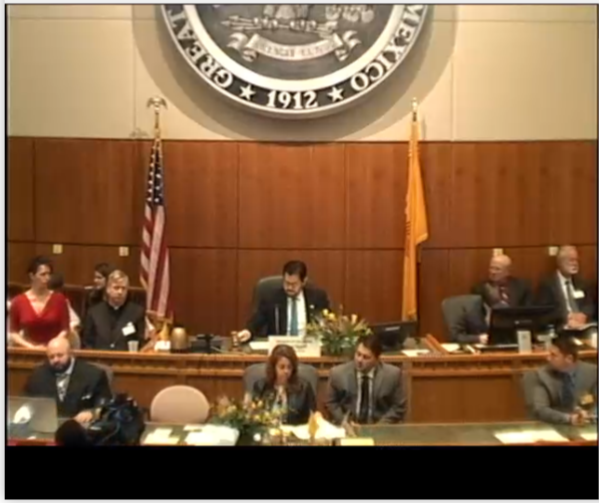 Watch video of Senate floor debate and passage of HB 60 at 1:22 p.m. Read an article about the bill's passage by the Santa Fe New Mexican here. One of ACI's FOCUS priorities of the session is to win employment law uniformity. What we mean by "employment law uniformity" is that employment laws, such as paid or unpaid leave mandates and scheduling mandates, should be legislated only by the state, rather than at the local-government level. Another term for such a policy is “state preemption." Our members have said the uniformity provision is imperative to creating certainty for business recruitment and to enable business expansion into new markets in the state. Senate Bill 415 (Uniformity of Employment Law Terms) got its first hearing on Friday, and the Senate Corporations and Transportation Committee gave the bill a bipartisan "do pass." ACI is working diligently to get the bill moving through committees, and the next committee to which the bill was referred is Senate Judiciary. With that said, we need your help, if employment law uniformity is to have a chance. Please contact your legislators and urge them to support standardizing employment laws across the state. Linked here is a one-pager to help with your conversations. Increasing the minimum wage has been one of the foremost topics during the 2017 legislative session, with six or so bills this session seeking to do so. With wage proposals between $8.45 and $15, it has been a challenging and confusing time for businesses and business groups, particularly whether supporting one bill over others will minimize the damage to businesses and, possibly, to the workforce. Among the minimum-wage bills, the one beginning to see daylight is Senate Bill 386, sponsored by Sen. Clemente Sanchez, of Grants. SB 386 would increase New Mexico’s hourly minimum wage to $8.25 in October, then to $9 in April 2018. The bill garnered a 24-6 bipartisan vote in the Senate and is now working its way through House committees. Read a Santa Fe New Mexican story about it here. Before the business community can even consider supporting such a measure, SB 386 needs to include employment law uniformity. Frankly, until the bill offers a concession to New Mexico business for our conceding to the mandated increases, there's no point in doing so. This is particularly true when Gov. Susana Martinez can veto any bill that does not represent an accord between the state's business community and wage-increase proponents. Also, we do not yet see the appeal in SB 386, when there are less burdensome proposals that have been introduced (see an example below). FIR Summary: Senate Bill 321 (SB 321) amends Section 10-7-9 NMSA 1978 to increase the minimum salary for “[e]very state employee and every person regularly employed at a state educational institution,” except for student employees, from $400 per month to $8.75 per hour. Section 2 proposes to amend Section 50-4-22 NMSA 1978 to raise the minimum wage paid by “an employer” from $7.50 to $8.75 per hour; to raise the base minimum hour wage of an employee who receives $30.00 a month in tips from $2.13 to $2.50 an hour; and creates a minimum wage for employees with “a valid server permit issued pursuant to the” Liquor Control Act of $9.75 per hour. A committee substitute of Senate Bill 155 (Workers’ Comp Benefit Clarification) passed the bill's two Senate committee referrals (Senate Corporations and Transportation and Senate Judiciary) before clearing the full Senate on a 32-8 vote. The bill was introduced in the House Thursday and was referred to House Business and Industry and then -- or "thence," as is the custom -- House Judiciary. Analysis of the bill states that SB 155's committee substitute is very similar to Rep. Randal Crowder's House Bill 250 from the 2015 session. Page 3 of draft minutes of the state Advisory Council on Workers' Compensation and Occupational Disease Disablement show that HB 250's committee substitute, which passed the House unanimously 66-0, was the result of a "collaborative meeting" between Rep. Crowder and then-Minority Floor Leader Brian Egolf, who proposed amending the bill. See a one-pager on SB 155, developed by Quinn Lopez, of ACI member New Mexico Mutual. In short, SB 155 clarifies whether a worker should be entitled to continue to receive indemnity benefits, if 1) the return-to-work-eligible employee rejects an offer of employment (at or above the pre-injury wage), or 2) the employee is terminated for engaging in misconduct unrelated to the work-related injury. A healthy workers’ compensation system is an important component to promoting business investment, job creation and economic development, so SB 155 is an ACI FOCUS Priority bill. Passage of SB 155 will promote return-to-work outcomes, will mitigate fraud, waste and abuse in the workers’ comp system, and will ensure that workers’ comp rates remain competitive and affordable. Awaiting debate on the House floor -- its final stop -- is a bill that ACI helped draft in the interim with sponsors Sen. Jacob Candelaria and Rep. Debra Sariñana. The committee substitute of Senate Bill 134 (Compute Science for School Graduation) got its Senate-side vetting, which culminated with a 33-4 vote, before making the jump to the House. Since then, the substitute bill has received unanimous votes in the House committees to which it was referred -- House Labor and Economic Development and House Education. SB 134 provides high-schoolers with the option to take a computer science course in place of another math course, once they have completed Algebra II and demonstrated math proficiency requirements prescribed by the state Public Education Department. Likewise, a student may take computer science course in place of a science course after the requirement of two lab-based science courses have been completed. To this point, high school computer science courses have only counted as electives, and proponents want to encourage students to take at least one course on the topic by allowing it to be in the core curriculum. Also nearing passage is House Bill 60 (Broadband Infrastructure Development), which is awaiting debate by the full Senate before going to Gov. Susana Martinez for her signature. Co-sponsored by Rep. Carl Trujillo and Sen. Jacob Candelaria, the ACI FOCUS bill passed the House unanimously on 66-0 vote, and in the Senate, it has enjoyed similar approval. Both Senate Corporations and Transportation and Senate Public Affairs gave the bill unanimous nods. HB 60 inserts the term and definition of "broadband telecommunications network facilities" into the Local Economic Development Act to clarify and allow for certain public-private partnerships in broadband development without violating the anti-donation clause of the state constitution. For example, when a governmental entity plans to uncover a right-of-way, such as a utility line, the entity may invite broadband providers to lay broadband fiber-optic cable in the open trench. ACI believes this update to the Local Economic Development Act will allow governments to create synergy with private-sector broadband providers in more rapidly expanding broadband networks across the state, which will benefit businesses of every industry, including healthcare, high tech, hospitality and education. There are six or so bills this session that seek to increase the minimum wage (see below). One of ACI's FOCUS priorities of the session is to win employment law uniformity, and without that policy appearing in a minimum-wage bill as a compromise, an increase in the minimum wage is simply not a palatable. What we mean by "employment law uniformity" is that employment laws, such as paid or unpaid leave mandates, wage- or fringe-benefit mandates, and scheduling mandates, should be legislated only by the state, rather than at the local-government level. Another term for such a policy is “state preemption,” and for ACI, that means we want all employment laws under the uniformity umbrella – not just any one, like scheduling. Our members have said the uniformity provision is imperative to creating certainty for business recruitment and to the expansion into new markets in the state. In the meantime, standalone employment-law uniformity legislation has been introduced – Senate Bill 415 – by sponsor Sen. George Munoz. ACI is working diligently to get the bill moving through committees. Rep. Jason Harper is in line for a “weekend warrior” award. The past two Saturdays, Harper was in the hot seat to present and defend his 350-page tax-reform bill, House Bill 412, which he said he has worked on for several years. Read an Albuquerque Journal story about the bill's Feb. 18 hearing. Harper likens New Mexico’s tax code to Swiss cheese, and the holes represent the tax exemptions – more than 100 – that have been afforded industries and individual businesses over the years. The result of loss revenues due to exemptions, Harper says, is that the state has steadily increased the gross receipts tax rate for everyone else. Ditto for local governments and their respective local-option taxes. Continuing the cheese analogy, Harper says that, rather than try to fill in the holes, the answer is to put the cheese in the oven and melt it down, in effect creating a lower rate that everyone for everyone. Under the headline "2017 is the year to fix NM’s Swiss cheese tax code," the Albuquerque Journal weighed in on Harper’s “meltdown” bill with an editorial in the Tuesday issue. Read it here. On Tuesday, U.S. President Donald Trump signed an executive order that directs the U.S. Environmental Protection Agency to begin the process of rewriting the sweeping 2015 rule known as Waters of the United States, which dramatically expanded the scope of federal jurisdiction under the Clean Water Act. Read President Trump's remarks following the signing of the executive order here. Read the U.S. Chamber's reaction to the executive order here. In 2015, ACI and other New Mexico and Arizona business groups filed a lawsuit in the U.S. District Court for the District of Arizona challenging the WOTUS rule. Late Wednesday, the House passed a package of bills to raise $250 million in new revenue for fiscal year 2018 and to increase budget spending by about $8 million. Read more about the tax-and-spending package here. On Wednesday, Senate Bill 18 (Resident Business Set-Aside Act) was tabled for lack of a majority vote in Senate Judiciary. An attempt to amend SB 18 to award 33 percent of competitive state contracts to New Mexico-headquartered businesses, rather than resident businesses, failed. The vote on the bill resulted in a 5-5 tie vote, meaning the bill does not advance to its next assigned committee. SB 18's House companion bill, House Bill 25, passed through House committees on bipartisan votes and cleared the full House on Monday 57-9. HB 25 begins its Senate-side trek in Senate Corporations and Transportation. The Senate and House versions of the Resident Business Set-Aside legislation are both sponsored by Sen. Michael Padilla and Rep. Sarah Maestas Barnes. ACI President and CEO Jason Espinoza has served as an expert witness for both bills. Watch SB 18's hearing in Senate Judiciary at 3:50:30. On Wednesday, Senate Corporations and Transportation heard House Bill 60 (Broadband Infrastructure Development), and the bill found another unanimous nod since its passage in the House on a 66-0 vote. Co-sponsored by Rep. Carl Trujillo and Sen. Jacob Candelaria, the ACI FOCUS bill HB 60 inserts the term and definition of "broadband telecommunications network facilities" into the Local Economic Development Act to clarify and allow for certain public-private partnerships in broadband development without violating the anti-donation clause of the state constitution. For example, when a governmental entity plans to uncover a right-of-way, such as a utility line, the entity may invite broadband providers to lay broadband fiber-optic cable in the open trench. On Thursday, ACI was among the opponents testifying in Senate Public Affairs against Senate Bill 281 (Patient Safe Staffing Act), as well as the New Mexico Hospital Association and numerous individual hospitals from around the state. SB 281, sponsored by Sen. Linda Lopez, is an ACI FOCUS bill. The state Department of Health cited numerous issues with the bill, starting with the bill’s directive for the creation of a committee that will determine staffing levels, rather than hospital directors of nursing, jeopardizing federal funds such as reimbursement from Medicare and Medicaid. CMS (the Centers for Medicare and Medicaid) calls for staffing levels to be decided by nursing directors. A substitute bill for SB 281 received a 5-3 “do pass” vote. Senate Public Affairs chair Sen. Jerry Ortiz y Pino commented prior to the vote that the bill’s next assigned committee, Senate Judiciary, will surely tackle the “thorny issue” of the Attorney General’s authority regarding the act. Monday was an incredibly busy day for ACI. About a dozen bills called for ACI’s participation in committees, in most cases to stand and testify for or against their advancement. For two bills, ACI President and CEO Jason Espinoza provided expert-witness testimony, meaning he teamed with bill sponsors to present the bills to committees. Jason’s regular appearances at the table speaks to ACI’s breadth of issues in which ACI is actively engaged, but more importantly, Jason’s role as an expert witness speaks to the depth of knowledge Jason provides on each issue. In Monday’s House Labor and Economic Development Committee, co-sponsors Sen. Jacob Candelaria and Rep. Debra Sariñana presented Senate Bill 134 (Compute Science for School Graduation), with Jason and Paige Prescott, president of the New Mexico chapter of the Computer Science Teachers Association, as their expert witnesses. The bill has already passed in the Senate on a 33-4 vote and is getting its vetting on the House side. Jason said in his remarks that ACI took part in the drafting of the legislation in concert with the sponsors, as well as CSTA, and reiterated that the bill does not seek to take away any credits or reduce any credit requirements. Rather, SB 134 provides high-schoolers with the option to take a computer science course in place of another math course, once they have completed Algebra II and demonstrated math proficiency requirements prescribed by the state Public Education Department. Likewise, a student may take computer science course in place of a science course after the requirement of two lab-based science courses have been completed. To this point, high school computer science courses have only counted as electives, and proponents want to encourage students to take at least one course on the topic by allowing it to be in the core curriculum. Following supporting comments by a representative of the Public Education Department, particularly that SB 134 maintains in computer science courses the rigor of other math and science courses, Chairman Bill McCamley said, “PED and (teachers union) AFT support the same bill?” Sponsor Jacob Candelaria responded by describing the bill’s support as “legislative bingo,” because of the abundance of diverse, acronym-recognized organizations speaking for the bill’s passage. SB 134 passed House Labor and Economic Development and proceeds to House Education, which is chaired by Rep. Stephanie Garcia Richard. That same afternoon, House Business and Industry heard House Bill 147 (Workforce Training Residency Requirement), presented by co-sponsor Rep. George Dodge (Curry, DeBaca, Guadalupe, Roosevelt and San Miguel). HB 147 proposes to reduce the minimum residency requirement of the Job Training Incentive Program (JTIP) trainees from one year to one day, when: 1) a job with a salary of at least $60 thousand in a class H county or within ten miles of the boundaries of a municipality with a federal census population of at least 60 thousand; and 2) a job with a salary of at least $40 thousand in a municipality with a federal census population of less than 60,000 or in an unincorporated area of a county. In his expert-witness testimony, Jason said HB 147 is intended to help economic developers, referring to a Jan. 29 Albuquerque Journal article about job-seekers leaving the state. Jason said the bill would help rural communities, as well as communities close to neighboring states, since they share a talent pool in cross-border regions for high-wage jobs. He said the modification to residency requirements could encourage hired workers to move into New Mexico. Also providing expert-witness testimony for HB 147 was Davin Lopez, president and CEO of the Mesilla Valley Economic Development Alliance. The residency requirement is Lopez’s brainchild, and Lopez analogized that improving the product his organization is trying to sell – New Mexico – can be improved through the bill to make the state more competitive for business recruitment. HB 147’s hearing lasted less than 15 minutes, and the bill received a unanimous “do pass” by House Business and Industry. The bill now goes to the House floor for debate. Rep. Bill McCamley is a co-sponsor of HB 147. ACI is opposing more than 20 tax-increase bills. ACI is actively working to stop bills that would increase capital gains taxes on small businesses, bills that target specific products and specific industries, and bills that create new tax brackets, just to name a few. Below are status updates of the tax bills ACI opposes. HB 63 (Local Option Fuel Tax): Passed the House 60-6; proceeds to SJC. HB 117 (Supplemental Income Tax): Scheduled for Feb. 24 in HLEDC. HB 152 (Tax Expenditure Budget): Not yet scheduled in HTRC. HB 201 (New Top Income Tax Bracket): TABLED in HCPAC Feb. 16. HB 282 (Increase Cigarette & E-Cigarette Taxes): Not scheduled again in HTRC since Feb. 8. HB 310 (Income & Capital Gains Taxes): Temporarily TABLED Feb. 13 in HTRC. HB 311 (Increase Working Families Tax Credit): Not scheduled again in HTRC since Feb. 8. HB 324 (Additional Tax Brackets): Not yet scheduled for HCPAC. SB 1 (Unitary Group Combined Tax Reporting): “Do pass” in SCORC Feb. 13; proceeds to SFC. SB 50 (Additional Upper-Tier Tax Brackets): Not scheduled again in SCORC since Feb. 10. SB 95 (Gas Tax Increase & Distribution): Proceeds from SCORC Feb. 15 “without recommendation” to SFC. SB 131 (Gas Tax, Road Fund & Distributions): Proceeds from SCORC Feb. 15 “without recommendation” with amendments to SFC. SB 199 (Delay Certain Tax Changes): Not yet scheduled for SCORC. SB 231 (Increase Cigarette & E-Cigarette Taxes): Scheduled for SCORC Feb. 22. SB 232 (Carbonated Beverage Gross Receipts) TABLED Feb. 20 in SCORC. SB 247 (Liquor Tax & County Definition): “Do pass” in SCORC Feb. 10; “Do pass” in SFC Feb. 21. SB 288 (Taxes & Surtaxes for Early Childhood Fund): Stays in SCONC for a failed “no recommendation” motion on Feb. 21. SB 314 (Raise Liquor Tax for Certain Beverages): TABLED in SCORC Feb. 20. SB 344 (Income Tax Rates ad Pre-K Funding): Scheduled in SCORC Feb. 22. SB 353 (Increase Motor Vehicle Excise Tax): Not yet scheduled in SCORC. The P3 proponents outnumbered the critics today during the first House committee hearing of House Bill 275 (Public-Private Partnership Act). HB 275 has been assigned to three committees on the House side, which can pose a challenge to any bill. That the bill got its first vetting at the midpoint of the session makes the upward climb even steeper. Supporters attending today’s House Transportation, Public Works and Capital Improvements Committee meeting helped it get to a good start. Lending firepower to stress the urgency and the potential of the bill were many of New Mexico’s foremost business leaders, as well as the executives of a variety of trade groups. Trying to stop the bill in its tracks were public-employee unions and environment activist groups. Following the testifying of supporters and opponents, the committee needed little discussion to make its recommendation. Since none of the present committee members opposed the bill, HB 275 got a “do pass” and now heads to House Labor and Economic Development, chaired by Rep. Bill McCamley. Watch video of HB 275’s hearing in House Transportation, Public Works and Capital Improvements at 9:20. Heading to the Senate floor for debate is a measure to backfill the state’s judiciary budgets to get the courts through the current fiscal year. House Bill 261 has been amended once on the House side by the Appropriations and Finance Committee, as well as by the Judiciary Committee on the Senate side. Senate Judiciary doubled the funding for the Administrative Office of the Courts from $800,000 in the initial bill to more than $1.6 million. The amended bill also provides $83,000 to the Supreme Court. ACI supports HB 261 because, when the business community conducts commerce, it must be able to so with confidence that there is a reliable and speedy mechanism by which it can enforce contracts and collect debts. This must be in place for not only existing businesses, but for the purposes of economic development, as well. Other co-sponsors of HB 261 are Rep. Zachary Cook and House Speaker Brian Egolf. A bill proposing to create a new tax bracket starting in 2018 was presented today by Rep. Daymon Ely to the House Consumer and Public Affairs Committee, chaired by Rep. Eliseo Alcon. House Bill 201 (New Top Income Tax Bracket) would create a new income tax bracket for “upper rates,” according to the fiscal impact report synopsis. For married individuals filing separately with incomes over $230,000, the tax is $11,066 plus 5.9 percent of the excess over $230,000. For joint filers with incomes over $460,000, the tax is $22,132 plus 5.9 percent of the excess over $460,000. For single individuals with incomes over $306,667, the tax is $14,747.17 plus 5.9 percent of the excess over $306,667. Analysis by the Legislative Finance Committee noted the bill could trigger significant out-migration to states with lower tax rates. Watch video of HB 201’s hearing in House Consumer and Public Affairs. Our state's infrastructure deteriorates with time and wear, but with bleak revenue forecasts for the state budget, how can imperative maintenance and replacement of the infrastructure proceed? ACI believes the answer is public-private partnerships (P3s), and ACI has made P3s a priority of this session. The flagship P3 bill of the session is House Bill 275, co-sponsored by Rep. Larry Larrañaga and Sen. Carlos Cisneros, and it's getting its first of three assigned House committee hearings on Thursday. At approximately mid-session, we need to send a message loud and clear that P3s mean jobs. WE NEED YOU TO BE THERE! What: Fill the Room for HB 275 (Public-Private Partnerships Act)! When: Thursday, Feb. 16, 2017, 8:30 a.m.
Once a committee substitute was in place for discussion purposes in Senate Corporations and Transportation, Sen. Peter Wirth said that his mandatory unitary combined reporting bill embodies many of the same concepts as other bills he has presented since he first arrived at the Legislature in 2005. The 2017 version, Senate Bill 1 (Unitary Group Combined Tax Reporting) incorporates the “water’s edge” reporting, rather than worldwide, which excludes the income and apportionment factors of affiliates of the unitary group that are incorporated in a foreign country or that conduct most of their business outside the United States. Audience members representing a variety of industries, including ACI’s Jason Espinoza, spoke in opposition to the bill. Recurring concerns about the bill were the need to include single sales factor and the need to exclude foreign dividends. Providing expert testimony for SB 1 was Richard Anklam, the president and executive director of the New Mexico Tax Research Institute and a longtime member of ACI’s Taxation Committee. Anklam provided context about foreign dividends and the reason it was a topic of concern for many in the audience. Anklam: Currently, if you’re a separate filer in New Mexico right now, the state cannot tax foreign dividends. The state can tax foreign dividends if you’re a combined or consolidated filer. You get 100 percent dividends exclusion if you’re a separate filer in New Mexico currently, and you get zero exclusion as a consolidated or combined filer. So, if you have a lot of foreign dividends, and you’re a separate filer in New Mexico, the last thing you want to do is change your status, because you lose that immunity. The reason the court did that is foreign dividends are not subject to apportionment. That is why most states give some because you’re trying to exclude the foreign activities. Sen. James White asked the bill sponsor if he would consider exempting more of a filer’s foreign dividends than the 50 percent proposed in the bill. Chairman Clemente Sanchez proposed changing the bill to mirror surrounding states by excluding 100 percent of foreign dividends. Sen. Wirth conceded to the amendment. The bill, as amended in the committee, received bipartisan support with a 5-3 vote, with Sen. Michael Padilla moving for a “do pass,” and Sen. White seconding. The bill moves on to Senate Finance. Chairman Sanchez suggested speaking with industry representatives to address any further concerns as the bill moves forward. Single sales factor remains a priority for many. ACI is actively opposing bills proposing new taxes on businesses. Seen throughout the session is ACI President and CEO Jason Espinoza testifying shoulder-to-shoulder with Minda McGonagle, the registered lobbyist of the National Federation of Independent Business, in opposition to tax bills. One such bill this week was House Bill 310 (Income and Capital Gains Taxes), sponsored by Rep. Bill McCamley. House Taxation and Revenue heard a committee substitute for the bill on Monday. Although McCamley said the substitute was "more palatable," the committee unanimously voted to temporarily table the bill. HB 310 proposed to add a top-bracket marginal tax rate to each filing status for personal income tax, to reduce the net capital gains deduction, and to increase the motor vehicle excise tax. In his comments opposing the bill, Jason said, "We do have issues with all three portions of the bill, but I’m going to speak specifically to the personal income tax increases. That’s a tax increase on small businesses across the state. Those are pass-through entities. Many LLCs and other small businesses file personal income taxes, so it’s not just a tax on high-income individuals, this is a tax on small businesses across the state. We’re looking at the long term in terms of supporting a business environment, to create more businesses, to create more jobs, which will then in turn create more revenue." Also opposing the bill during the hearing was the New Mexico Automotive Dealers Association, an ACI member, represented by President Charles Henson and registered lobbyist Randy Traynor, whose firm is also a member. During the committee discussion, Rep. Jason Harper said that he has been working closely with the Fourth Floor, and he has been told Gov. Susana Martinez will not sign anything that is "revenue-positive." Getting its first hearing of the session, Senate Bill 155 (Workers’ Comp Benefit Clarification) will be heard by the Senate Corporations and Transportation Committee on Friday at 2 p.m. The bill, sponsored by Sen. Jacob Candelaria, clarifies whether a worker should be entitled to continue to receive indemnity benefits, if 1) the return-to-work-eligible employee rejects an offer of employment (at or above the pre-injury wage), or 2) the employee is terminated for engaging in misconduct unrelated to the work-related injury. This decision has had a significant adverse impact on employers in New Mexico in terms of the costs of workers' compensation insurance coverage. Case permits a worker to continue receiving temporary disability indemnity benefits even if the worker is terminated for misconduct or just cause. Under the case, what is the incentive for an employer to provide post-injury employment? The case undermines the Workers’ Compensation Act's objective in returning employees to work with minimal dependence on indemnity benefits. Allows workers to engage in misconduct, up to and including breaking the law, with no significant repercussions as they would continue to receive temporary disability indemnity benefits, despite the employer’s good faith efforts to help the worker in returning to work. A healthy workers’ compensation system is an important component to promoting business investment, job creation and economic development, so SB 155 is an ACI FOCUS Priority bill. Passage of SB 155 will promote return-to-work outcomes, will mitigates fraud, waste and abuse in the workers’ comp system, and will ensure that workers’ comp rates remain competitive and affordable. ACI will be vigorously supporting passage of SB 155 at its first committee stop Friday. If the bill gets a "do pass," it will proceed to Senate Judiciary before being debated on the Senate floor. See a brochure about SB 155, prepared by the New Mexico Workers' Compensation Advisory Council. During Wednesday’s House Business and Industry Committee meeting, co-sponsor Rep. Sarah Maestas Barnes presented House Bill 25 (Resident Business Set-Aside Act), which would require that all contracting state agencies award 33 percent of their contracts to New Mexico businesses. Rep. Maestas Barnes said a previous version of the bill passed the full Senate last year and that the legislation was inspired by Anthony Trujillo, president and CEO of HOLMANS USA, an ACI member. A recurring message from proponents is that the set-aside serves as an incentive that will lead to contracting businesses creating new jobs and to the state’s economy expanding. House Business and Industry gave HB 25 a “do pass” 8-1, which follows a 9-2 nod by House Labor and Economic Development on Jan. 23. The bill is now ready for debate on the floor of the House. HB 25 is co-sponsored by Sen. Michael Padilla, whose companion legislation, Senate Bill 18, passed Senate Corporations and Transportation earlier in the session. On Wednesday, House Business and Industry gave a unanimous "do pass" to House Bill 266 (Short-Term Rental Occupancy Tax), sponsored by Rep. Carl Trujillo and championed by the New Mexico Hospitality Association. As the sharing economy grows, local and state governments are trying to keep up by aligning existing laws to ensure fairness and, of course, not to leave revenues on the table. The lodgers' tax is an assessment passed on by lodging facilities to lodgers who make their stay for fewer than 30 days. In New Mexico, local governments may set the rate as high as 5 percent for each night's stay. Not under the lodgers' tax umbrella (yet) have been host facility operators that secure room stays through third-party applications and websites, like Airbnb. HB 266H removes what can be described as exemption, or loophole, from the lodgers' tax for short-term rentals within a taxing jurisdiction. HB 266, which ACI supports, goes on to House Taxation and Revenue. Last week, Gov. Susana Martinez line-item-vetoed an emergency provision in the Legislature's feed bill for the state courts, citing the need to more closely scrutinize costs. On Monday, the House unanimously passed 68-0 a stand-alone bill, House Bill 261, that will provide about $600,000 to the cash-strapped courts to fund jury trials. Another $83,000 is earmarked for the Supreme Court. Although HB 261 faced only a hearing by House Appropriations and Finance before reaching the vote of the full House, the bill has two committee assignments on the Senate side -- Judiciary and Finance. Gov. Martinez has called for a meeting Wednesday with the state Board of Finance, which she chairs, to discuss funding measures for the courts. On Monday House Bill 57, sponsored by Rep. Carl Trujillo, received unanimous approval 66-0 on the House floor. The bill, entitled "PRC Jurisdiction over Local Exchanges," modernizes the regulatory environment and allows companies to direct investments toward new technologies and services, such as broadband. The bill has become referred to as the "Telecom Modernization" bill. 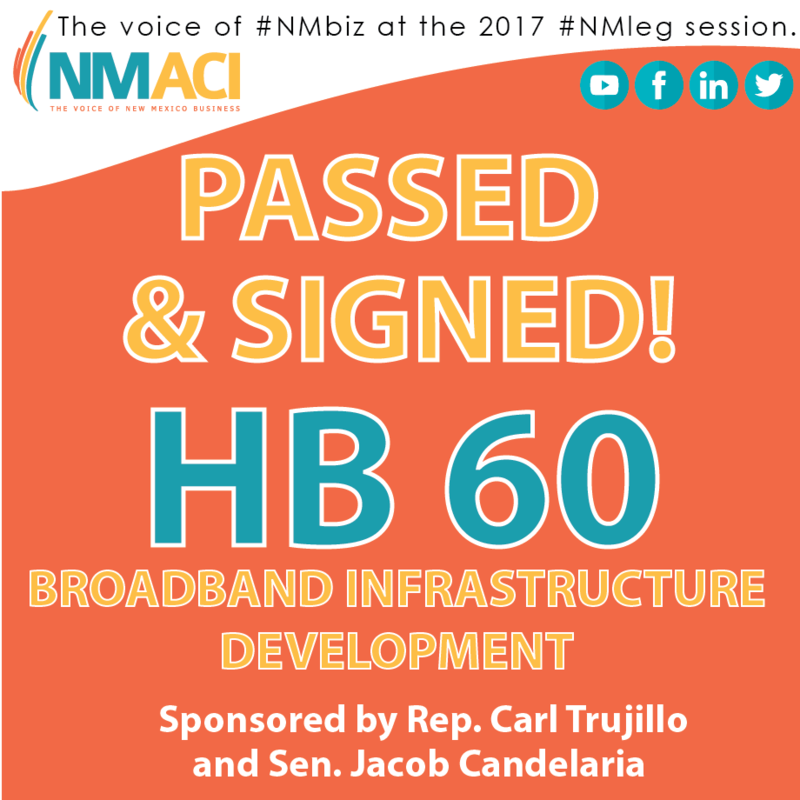 Prior to HB 57's passage in the House, HB 60 (Broadband Infrastructure Development), co-sponsored by Rep. Carl Trujillo and Sen. Jacob Candelaria, similarly passed the House unanimously 60-0. Both HB 57 and HB 60 have been introduced in the Senate, and Senate Corporations and Transportation will be the first Senate-side committee to hear the bills. Both bills are ACI FOCUS bills. On Monday, House Business and Industry, chaired by Rep. Debbie A. Rodella, gave a unanimous "do pass" to House Bill 199 (Distributed Generation Consumer Protection), a companion bill to Senate Bill 210. The House and Senate versions are ACI FOCUS bills, calling for disclosure requirements related to the selling or marketing for the financing, sale or lease of a distributed energy generation system, such as residential solar panels. In addition to stronger consumer protections, the bill provides for penalties and remedies for violations to be subject to enforcement by the Attorney General's Office, and it enacts a new section of the Real Estate Disclosure Act. Electric utilities, established New Mexico solar providers and business groups have stood in support of the companion bills in the Public Regulation Commission and in respective House and Senate committees. ACI is actively lobbying for and against dozens of pieces of legislation, as well as tracking hundreds more. Learn about our positions on the bills that matter to your business by using the ACI Member Information Center (MIC). Log in here. Our bill-tracking is organized by policy committee, and our FOCUS bills are the bills we are most actively working during the session. In addition to the bill-tracking feature, click the Votility button to access ACI's Policy Action Center, which is one more way to engage with our legislative advocacy. While you're in the MIC, read the welcome message to learn about the FREE MemberPlus mobile application for ACI members, downloadable for both iOS and Android mobile devices. With your current ACI member login, you can immediately begin using the MemberPlus app. ACI was among 616 co-signors of a letter sent to the U.S. Senate Feb. 7 With support from a variety of industries from all 50 states, the letter urges senators to consider and pass the Regulatory Accountability Act of 2017, which seeks to change the outdated way agencies adopt the most costly rules. Along with ACI, signing on to the letter from New Mexico were the Artesia Chamber, the Silver City Chamber, the Livestock Market Digest Newspaper, the New Mexico Cattle Growers' Association, the New Mexico Stockman Magazine and the New Mexico Wool Growers. Read the letter. The Albuquerque Journal's Dan Boyd reports Gov. Susana Martinez has signed the Legislature's feed bill, which covers the overhead of conducting the 60-day session. The governor line-item-vetoed a provision of emergency funds for the state courts. Read more here. Both teachers unions and business groups coalesced in the Senate Education Committee on Wednesday to support Senate Bill 134 (Computer Science for School Graduation), co-sponsored by Sen. Jacob Candelaria and Rep. Debra Sariñana. SB 134 updates graduation requirements for high-schoolers and allows them to take a computer science course in place of one of three units of mathematics required, or in place of one of two units of science required for high school graduation, but only after students demonstrate competency in math or science. To this point, high school computer science courses have only counted as electives, and proponents want to encourage students to take at least one course on the topic by allowing it to be in the core curriculum. During the hearing, a UNM spokesperson said computer science has become known as the “third leg of science” and is an excellent supplement to science education. The spokesperson said UNM recognizes computer science as natural science core course. On a 5-1 vote, a substitute bill for SB 134 was given a “do pass,” and the committee substitute moves on to Senate Public Affairs. The House State Government, Indian and Veterans’ Affairs Committee, chaired by Rep. Georgene Louis, gave a unanimous “do pass” to House Bill 58 (Rulemaking Requirements), which is a FOCUS bill ACI supports. The legislation, co-sponsored by Rep. Nate Gentry, Rep. Linda Trujillo, Rep. Tomás Salazar and Sen. Daniel Ivey-Soto, will directs the establishment of a uniform process for rulemaking across state agencies. Currently, each agency has its own process for adopting rules. Sen. Ivey-Soto noted the cost savings and the increased accessibility to state government for the public that will result from the bill. HB 58 now heads to House Judiciary. 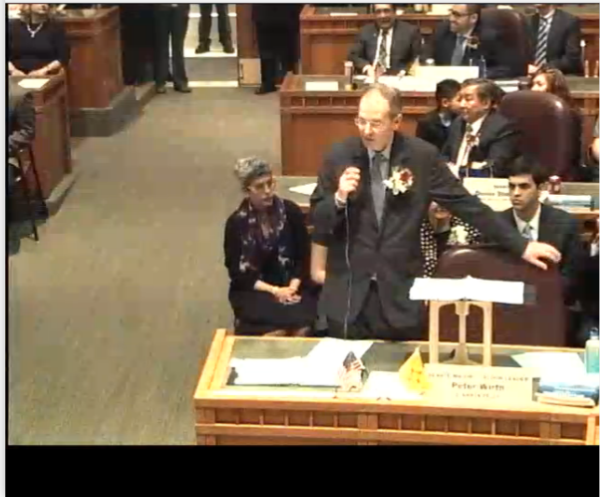 Watch the House State Government, Indian and Veterans’ Affairs meeting that considered HB 58. WATCH ACI’S NEW VIDEO, WHICH HIGHLIGHTS ACI’S PROCESS, PARTNERS AND PRIORITIES. SPECIAL THANKS TO ACI MEMBER CLIFFDWELLER DIGITAL. The Albuquerque Journal's Dan Boyd reports Gov. Susana Martinez has signed the Legislature's bills that will close the gap on the current fiscal year's budget, but the governor line-item-vetoed a provision that would have reduced the Local Economic Development Act (LEDA) closing fund for economic development projects. Read more here. 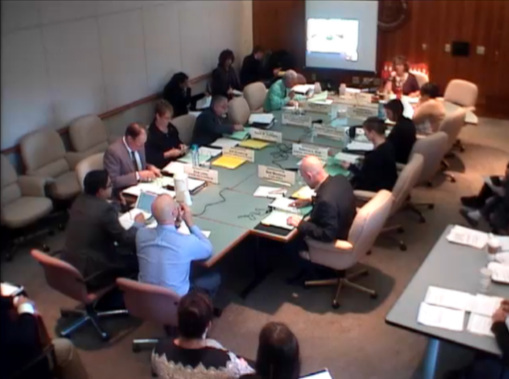 In what’s being called the first-ever Skype testimony at the New Mexico Legislature, Davin Lopez, president and CEO of the Mesilla Valley Economic Development Alliance provided testimony on Monday through online videoconferencing for House Bill 147 (Workforce Training Residency Requirement), for which ACI President and CEO Jason Espinoza also provided expert testimony. Their joint testimony was heard in the House Labor and Economic Development Committee. HB 147 reduces the in-state residency requirement of employees in certain areas and in high-wage jobs whose training is being reimbursed by the Job Training Incentive Program (JTIP) from 365 days to one day. "Yes, I am actually sponsoring a bill with ACI," Rep. Bill McCamley said in his opening remarks for the bill. McCamley, who is co-sponsoring the bill with Rep. George Dodge, is also the chairman of the House Labor and Economic Development Committee. Referring to a Jan. 29 Albuquerque Journal article about job-seekers leaving the state, Jason said that by tweaking the eligibility of JTIP, particularly for high-wage jobs, economic developers will be enabled to bring people back to New Mexico and grow the population of the state again. He said the change is critical for rural communities recruiting high-skilled talent to smaller communities and border communities that must compete for talent within a cross-border region. Also on Monday in the House Labor and Economic Development Committee, Jason testified in support of HB 198 (Historically Underutilized Businesses), sponsored Rep. Maestas and Rep. Monica Youngblood. The bill proposes the creation of the “Historically Underutilized Business Opportunity Act,” which would promote resident businesses certified by the Taxation and Revenue Department, which are owned at least 51 percent by and are underutilized by state agencies. Each HUB business must also have an average revenue of $5 million or an average of not more than 50 employees for the previous three fiscal years. Under the bill, state agencies would have to establish goals for using historically underutilized businesses. Watch the Labor and Economic Development Committee meeting that considered HB 147 and HB 198. On Monday, the House Education Committee, chaired by Rep. Stephanie Garcia Richard, considered House Joint Resolution 1 (Permanent Funds for Early Childhood, CA), sponsored by Rep. Antonio "Moe" Maestas and Rep. Javier Martínez, which seeks to ask voters on an election ballot whether a portion of the state's Land Grant Permanent Fund should be used to fund early childhood education. ACI supports increased funding for early childhood education, but in principle, ACI is opposed to taking out of the permanent fund any more allocations. The measure was given a "do pass" along party lines, 7-6, in the House Education Committee and advances to House Local Government, Elections, Land Grants and Cultural Affairs. HJR 1 is a FOCUS bill that ACI opposes. On Monday, the Senate Corporations and Transportation Committee gave a unanimous "do pass" to Senate Bill 210 (Distributed Generation Consumer Protection), which is a FOCUS bill that ACI supports. SB 210 provides for disclosure requirements related to the selling or marketing for the financing, sale or lease of a distributed energy generation system, such as residential solar panels. All claims about financial and energy savings must be backed by supporting information. The bill also requires the seller or marketer to provide proof that demonstrates all required permits and inspector approvals for the installation or modification of a system have been obtained.The bill provides for penalties and remedies for violations to be subject to enforcement by the Attorney General's Office, and it enacts a new section of the Real Estate Disclosure Act. Proponents believe that as the solar industry grows, for example, fly-by-night outfits can swoop into new markets and exploit inexperienced consumers who see the value of renewable energy, but lack enough information to know whether they are purchasing quality equipment from credible providers. Protecting the reputation of the nascent industry is important to the expansion and adoption of renewable energy. Jason testified in support of the bill, which goes on to Senate Judiciary. Have You Liked ACI's Facebook Page? Thank you for following the important work of ACI on Facebook by liking our page. Our next milestone is to catch up to our counterpart to the west, the Arizona Chamber of Commerce and Industry, which has about 2,500 fans right now. Help us get there by sharing our page on your timeline. The House Business and Industry Committee, chaired by Rep. Debbie A. Rodella, gave HB 57, sponsored by Rep. Carl Trujillo, a unanimous "do pass" on Wednesday and is now referred to House Business and Labor. The bill, entitled "PRC Jurisdiction over Local Exchanges," but known by proponents as the "Telecom Modernization" bill, modernizes the regulatory environment and allows companies to direct investments toward new technologies and services, such as broadband. Prior to its filing, HB 57 was unanimously endorsed by the Legislative Jobs Council in late 2016. There is no fiscal impact to the state should the bill pass. On Wednesday morning, ACI President and CEO Jason Espinoza testified before the Public Regulation Commission and urged commissioners to endorse HB 57 and its companion bill, SB 53, sponsored by Sen. Michael Padilla. The House and Senate versions are FOCUS Priority bills. The PRC gave its endorsement to both versions. SB 53 is scheduled to be heard by Senate Corporations and Transportation on Friday afternoon. Jason will be sitting with Sen. Padilla to present the bill to the committee. HB 60 (Broadband Infrastructure Development), co-sponsored by Rep. Carl Trujillo and Sen. Jacob Candelaria, advances to House Business and Industry with a "do pass" nod it received from House Labor and Economic Development, chaired by Rep. Bill McCamley. HB 60 has been designated a FOCUS Priority bill. Read reporting by the Santa Fe New Mexican about the broadband bill at NMPolitics.net. In less than 10 days, the House and Senate agreed to terms to to fill the gap of the current fiscal year with $216 million solvency package. The solvency bills now go to the desk of Gov. Susana Martinez for her signature. Read more at the Albuquerque Journal. On Wednesday, House Labor and Economic Development heard HB 67 (Increase Minimum Wage), sponsored by Rep. Miguel P. Garcia. The bill proposes to lift the current state minimum wage of $7.50 to $8.40 on Jan. 1, 2018, then stair-stepping increases to $10.10 on Jan. 1, 2020. Thereafter, the legislation calls for the minimum wage to increase in step with the inflation index, but may not increase by more than 4 percent. Tipped wages will be calculated as 40 percent of whatever is the current minimum wage. Many social and faith-based organizations stood in support of the bill. All bills calling for increases to the minimum wage are FOCUS Priority bills that ACI opposes. Watch the Labor and Economic Development Committee meeting that considered HB 67. 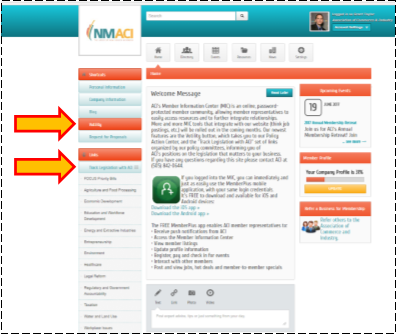 ACI is proud to offer a new feature on our website. You can now view the bills -- now at 237 of them -- that ACI is tracking during the session, as well as our position on most of them. 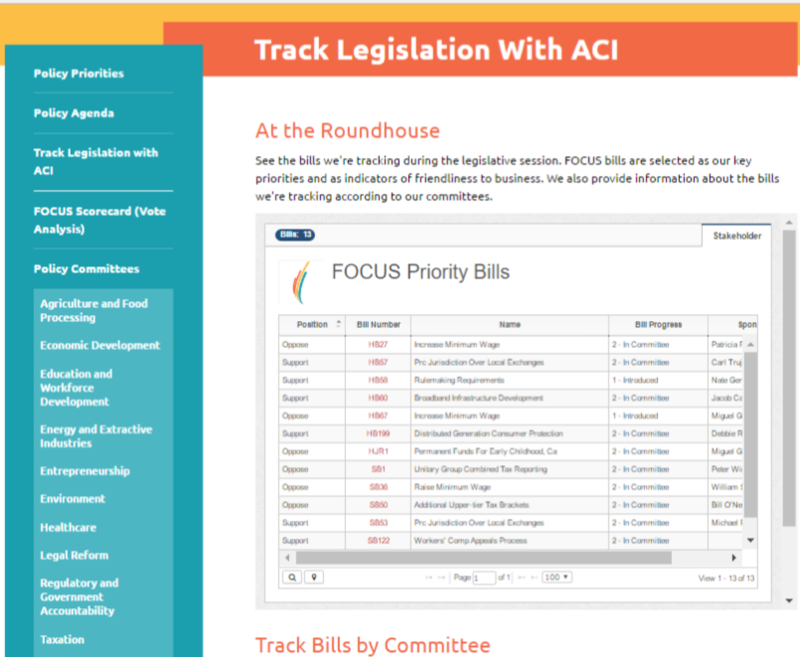 Start here to see bill tracking on ACI's FOCUS Priority bills. At the bottom of the page is a directory of ACI's policy committees. Click each one listed to view the policy statement of the committee, as well as the current bills ACI is tracking that are associated with the committee. ACI, the Santa Fe Chamber of Commerce the New Mexico Hospitality Association presented their respective annual events in collaboration, and in doing so were able to share resources and to promote each other’s events. Each organization is committed to bridging business and government, and that was the overarching theme of the first few days of this week – “Bridging Business and Government.” See posts by the hashtag #BuildingNMBiz2NMleg on Twitter and Facebook. See photos from ACI's photo booth at the Santa Fe Chamber of Commerce Legislative Reception. 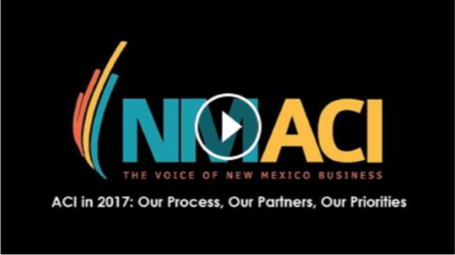 Watch ACI’s new video that was presented at Business Day in Santa Fe, which highlights ACI’s process, partners and priorities. See MORE photos from Business Day in Santa Fe on Facebook. Like ACI's page while you're there. Watch Business Day welcome remarks by ACI president and CEO Jason Espinoza, as well as Simon Brackley, president and CEO of the Santa Fe Chamber of Commerce, and Jen Schroer, president and CEO of the New Mexico Hospitality Association. We would like to take another moment to thank the ACI members that made this year’s Business Day possible. See photos from Business Day in Santa Fe on Facebook. Like ACI's page while you're there. House committees and the full chamber met on Saturday to debate a package of bills intended to fill a budget deficit in the current fiscal year. “Weekend Warriors” might be an apt designation, because votes in the House budget committee and the full chamber fell along party lines on the bills. The division is in contrast to the near-unanimous approval the Senate gave its solvency package on the second day of the session. House Bill 4 (Revert Balances of Certain Funds) passed 40-26, and HB 5 (Capital Outlay Project Changes) passed on a 37-29 vote. Disagreements have arisen between the two chambers regarding two of the Senate's solvency bills. Senate Bill 113 was amended in House Appropriations and Finance, and then twice amended on the floor. SB 114 received similar treatment, being amended in HAFC and on the floor of the House. The Senate does not concur with the amendments, so the two chambers will go into Conference Committee. On Monday, ACI’s FOCUS Committee, chaired by PNM’s Sayuri Yamada, met for the first time of the session to review bills flagged for relating Committee members discussed approximately 200 bills, noted whether ACI supports, opposes or is neutral on them, and ranked their respective levels of priority. In the coming weeks, that list will only grow, and information about what bills ACI is tracking, as well as our position regarding each, is available on our website. Eric Vigil, Acting State Director, USDA New Mexico Rural Development. In his testimony, Jason spoke about some of the foundational needs for creating the business environment ripe for economic development, business investment, and job creation. He went on to list workplace issues (esp. employment law uniformity and workers' comp) and infrastructure (esp. 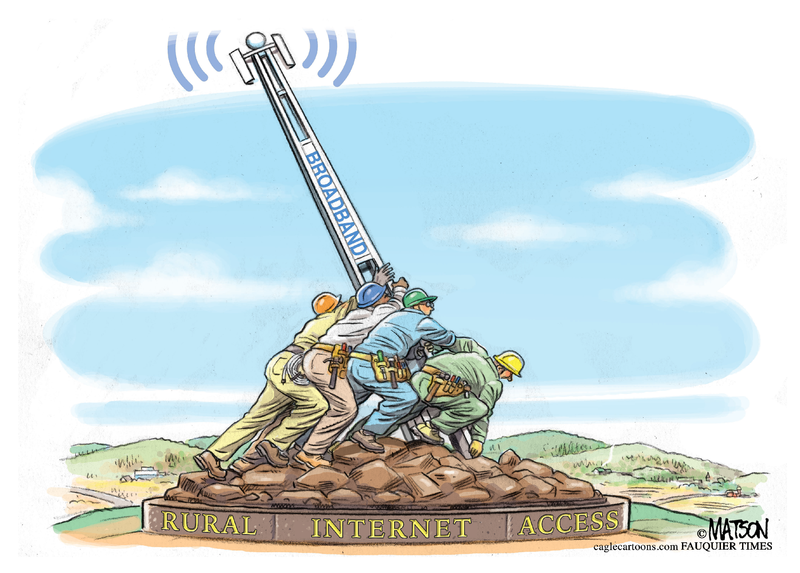 broadband and public-private partnerships). Watch the Senate Finance Committee hearing on Economic Development. On Monday, ACI President and CEO Jason Espinoza delivered expert-witness testimony to and fielded questions from the House Labor and Economic Development Committee, chaired by Rep. Bill McCamley. In support of HB25 (Resident Business Set-Aside Act), co-sponsored by Rep. Sarah Maestas Barnes and Senate Majority Whip Michael Padilla, Jason said, "Prior to an agency soliciting a bid or proposal, the agency may designate a contract, or a portion of the contract, as a resident business set-aside contract if there is a reasonable expectation that bids or proposals may be obtained from at least three qualified resident businesses that can furnish the desired goods or services at a fair and reasonable price." During questioning by the committee, Sen. Padilla said that what he intends to do through the bill is to try to keep many of the dollars and tax dollars that our state government spends on goods and services in New Mexico, "rather than Maryland." The committee recommended a "do pass" for HB 25. Watch the Labor and Economic Development Committee meeting that considered HB 25. The urgency was palpable on the first day of the 53rd Legislature, and it seemed the newly minted leaders of both chambers took little time to relish their respective inaugurations. In the Senate, moments before senators walked over to the House to hear the State of the State address, new Majority Floor Leader Peter Wirth (Santa Fe) advised fellow senators and apologized to their visiting families, "We've got a budget crisis, an immediate budget crisis ...The plan is to get right to work." Wirth directed senators to come back to the Senate chambers 30 minutes after the State of the State to hear all pre-filed bills and the solvency legislation. On Wednesday, the full Senate sent over to the House a $262 million solvency package. The Senate's handful of bills passed overwhelmingly. The House Appropriations and Finance Committee passed similar measures on Wednesday, and the full House could vote on them by week's end. Read more about it at the Albuquerque Journal. Both the House and Senate solvency packages have called for reductions to the LEDA (Local Economic Development Act) closing fund by $11.6 million from the general fund. Economic development tools, such as LEDA and JTIP (Job Training Incentive Program), are essential to New Mexico's competitiveness, and that is why appropriations for economic development incentives are a priority of ACI. The long view to diversifying New Mexico's economy and creating new revenues depends on keeping these funds wholly intact. POLICY ACTION ALERT: CONTACT LEGISLATORS TO URGE THEM TO VOTE TO PRESERVE THE BALANCE OF THE STATE ECONOMIC DEVELOPMENT CLOSING FUND. The House reconvened in the late afternoon of Opening Day, and Speaker Brian Egolf (Santa Fe) proposed reorganizing, or rebranding, many of the committees -- even adding one -- before announcing his committee appointments. The resolution to make the committee changes passed 38-29. The full list of committees is found below. With Democrats retaking the majority in the House in the 2016 general election, all committee gavels are wielded by new chairpersons since last year. In the Senate, the committee structure remains the same, but two committees will have new chairpersons. Sen. Joseph Cervantes (Doña Ana) will preside over the Conservation Committee, a post previously held by now-Majority Leader Wirth. Sen. William Soules (Doña Ana) will now chair the Education Committee, previously led by Sen. John Sapien (Bernalillo, Sandoval), who has been appointed to a spot on the Finance Committee. 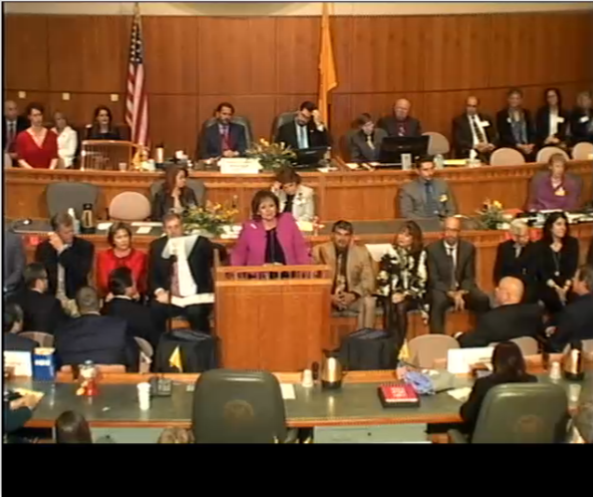 The 53rd New Mexico Legislature convened today, and prior to the State of the State Address by Gov. Susana Martinez, the House and Senate opened their chambers with the important housekeeping duties of selecting their leadership. Rep. Sheryl Williams Stapleton (Bernalillo) announced the nomination of Rep. Brian Egolf (Santa Fe) by the House Democratic Caucus for Speaker of the House. By a vote of acclimation, Rep. Egolf was swiftly elected and sworn in to the office. Rep. Stapleton will serve as House Majority Floor Leader, and Rep. Nate Gentry (Bernalillo) will serve as Minority Floor Leader. In the Senate, Sen. Jacob Candelaria (Bernalillo), announced leadership assignments decided by Senate Democrats, including the designation of Sen. Peter Wirth (Santa Fe) as Majority Floor Leader. Just prior to Wirth's confirmation as the Majority Floor Leader, Wirth proposed a change to the rules to provide for the five-year archiving of Senate floor proceedings, a move that aligns with new procedures enacted by the House. Sen. Michael Padilla (Bernalillo) will serve as Majority Whip. Continuing in their respective leadership roles for the Republicans, Sen. Stuart Ingle (Chaves, Curry, De Baca, Lea, Roosevelt) will serve as Minority Floor Leader, and Sen. William H. Payne (Bernalillo) will serve as Minority Whip. Soon after the announcement of majority and minority leadership roles, Sen. Mary Kay Papen (Doña Ana) was elected to serve the state Senate as the President Pro Tempore. Following her swearing-in, Sen. Papen said that she was proud of the Senate for working during the fall special session "as a unit," and hopes that the upper house can do the same during the 53rd Legislature. During her State of the State, Gov. Martinez spoke about the importance of economic development tools, such as JTIP (Job Training Incentive Program) and the LEDA (Local Economic Development Act) closing fund. Gov. Martinez noted the success of LEDA, creating more than 7,000 jobs. She said that, for every $1 million the state has invested with LEDA funds, private investment has invested $16 million. "Now is not the time to gut those reforms, not at a time when we are diversifying our economy," Gov. Martinez said, noting the recent economic development wins of Safelite, Keter and Facebook. Gov. Martinez also credited the newly released statewide graduation rate of 71 percent, a record and an increase of "8 percentage points since 2011," to a plan that "raised the bar for graduation so that a diploma is more than just a piece of paper." As a member-driven organization, our policy agenda, as well as the policy agenda priorities, is BY our members and FOR our members. Throughout the session, our regular emails will tell you how we can do our work WITH our members. We want to keep you informed every step of the way on bills that will impact the way you do business. We will send you emails on Tuesdays and Thursdays with FOCUS bill updates. We will also email you on Friday mornings to remind you of our Friday afternoon member teleconference. During the call, scheduled for 1:30 p.m. each Friday, we will provide updates on FOCUS bills, as well as offer contextual testimony from legislators and industry officials. FINAL COUNTDOWN: Business Day Reg. Ends TODAY! 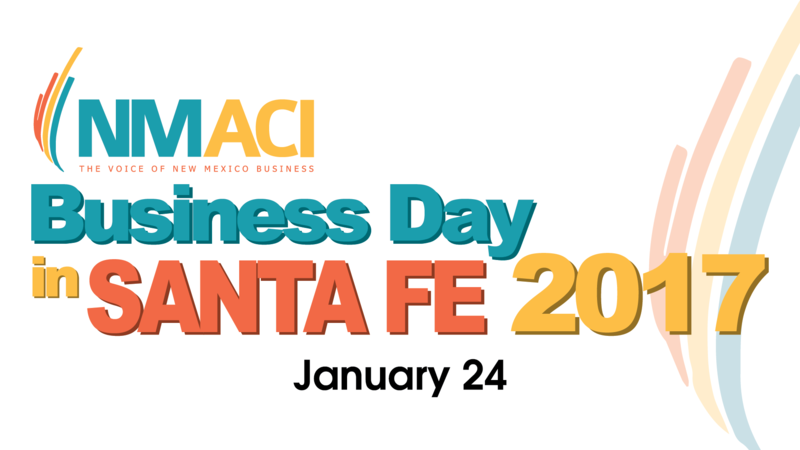 At ACI's Business Day in Santa Fe, top leaders from the legislative and executive branches will share insights of the 2017 session through the business lens. Room rates are $109, group code 5417 or group name TRENDS. Click here to book a room at Eldorado Hotel and Spa. Make the most of your time in Santa Fe. 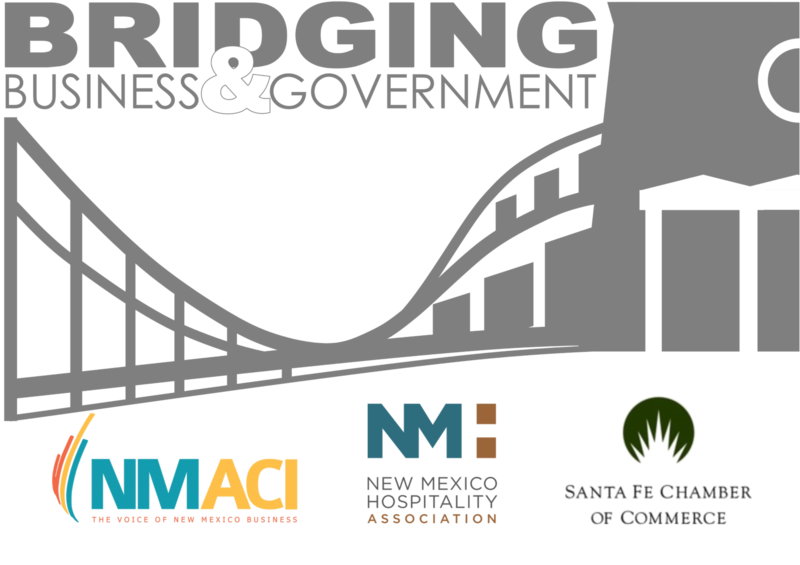 Learn more about these partner "Bridging Business and Government" events happening in collaboration with Business Day in Santa Fe. The Energy Technology and Environmental Business Association (ETEBA) invites you to a lunch meeting featuring guest speaker Greg Gonzales, the Small Business Program Manager of the National Nuclear Security Administration Albuquerque Complex. The title of his presentation is “NNSA Acquisition Update – FY17 and Beyond.” The NNSA recently updated their acquisition forecast and requirements, and Mr. Gonzales will detail these recent developments. I want to publicly extend congratulations and thanks to Albuquerque-based Bueno Foods and the Baca family as they celebrate their 65th anniversary, a tremendous milestone for the family and a source of pride for New Mexicans. Chile is a New Mexico food staple, and it was the inspiration of the band of Baca brothers who had just returned from World War II. The enterprising brothers started The Ace Food Store which, in addition to groceries, sold carry-out traditional New Mexican dishes. As more families adopted a new technology – the freezer – the brothers envisioned prolonging the enjoyment of each fall’s chile harvest from seasonal to year-round. By 1951, the brothers founded Bueno Foods. In today’s digital world with smartphones and screens constantly before our eyes, it’s important to remember that in the early 1950s, there was no existing process or equipment to flame-roast green chile on an industrial scale. Resolved in their vision, the Baca family engineered the processes and fabricated the equipment, all in Albuquerque’s South Valley, where they are still headquartered today. The brothers’ hunch was right about families’ desire for year-round chile, and within years, the rich culinary heritage of New Mexico chile permeated the state in local grocers’ frozen-foods aisles and restaurants, thanks to Bueno Foods. And now, at least 55 percent of Bueno Foods’ 150 gourmet-quality products are exported outside of New Mexico, which means new dollars flow into the state, making Bueno Foods a coveted economic-base employer. Bueno Foods is the poster child of economic development because, as Bueno products are exported, new dollars are “imported.” Those new dollars are plowed into the Albuquerque economy as Bueno Foods employees spend their paychecks and as the company pays its local vendors. Because Bueno Foods is a prime example of the type of company economic developers hope to recruit, ACI and our partners are committed to providing the tools and creating the environment to keep Bueno Foods in New Mexico. We must help keep labor costs low and keep overburdening regulations to a minimum. Bueno Foods has many stakeholders, and we have seen Bueno Foods demonstrate over these six and a half decades that their employees are Priority One. During all of Bueno Foods’ 65 years, the factory and home office have operated in the Barelas Neighborhood in the South Valley of Albuquerque. The Bacas knew their business opportunity translated to a significant employment opportunity, and they chose their site because the brothers grew up in the South Valley and believed in giving back to their Barelas neighbors by offering them the hundreds of jobs they would create. In 1951, Bueno Foods started with five employees, but now, Bueno Foods employs 275 with a total of more than 400 during peak seasons. That means many thousands of families have benefited from well-paying jobs and many other opportunities that Bueno Foods provides its employees. Bueno Foods is an exemplary employer, because it has voluntarily and diligently sought every way possible to elevate its employees, providing not just a better livelihood for its employees, but a better life. Employees have benefited from a 401k profit-sharing plan with company contribution; medical, dental, disability, and life insurance; holiday, vacation, illness, and bereavement pay; flex time; tuition reimbursement; and product discounts. Just as impressive is the company’s ability to work with local farmers and chile producers. The effects on the regional economy ripple throughout the Southwest. Bueno Foods’ farmers are the first farmers to be New Mexico Chile Certified, which means that the certification seal on their products guarantees that those chile products are grown here in New Mexico, protecting our state’s most cherished food product. These purchases from area farmers for locally grown products demonstrate Bueno’s commitment to supporting secondary businesses and employment. Cultural preservation is a cornerstone of Bueno Foods. And in order to preserve the cultural importance and authenticity of New Mexico chile, as well as its value as an economic driver to the state, Bueno Foods has worked tirelessly through the New Mexico Chile Association to protect New Mexico’s place as a world leader in chile production and processing. Tonight, as you plan your dinner menu, remember to buy local when possible. Bueno Foods is a shining example of what it means to give back to the community in more ways than one. Over multiple generations, Bueno Foods has helped grow the middle class by providing well-paying jobs for many New Mexicans, as well as an exceptional product to millions.